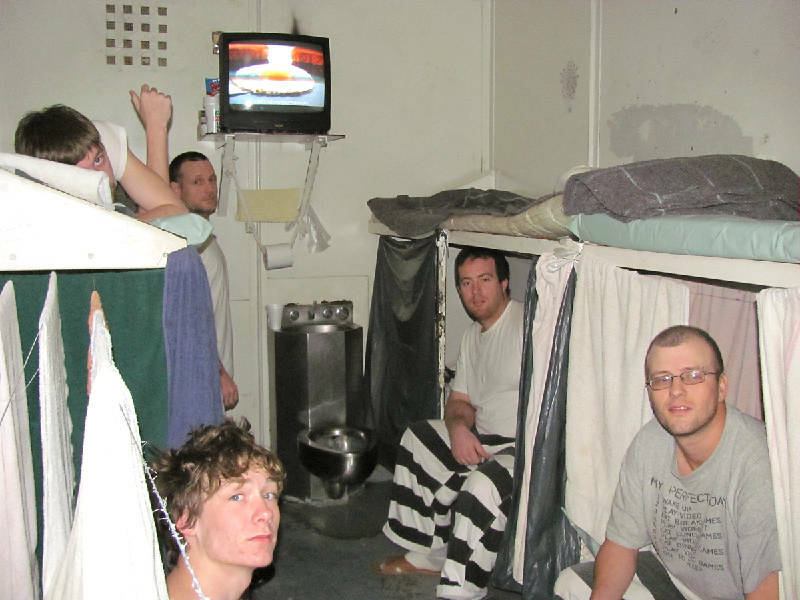 Inmates sit inside a cell at the Rhea County Jail in Dayton, Tenn. The jail was decertified by the state on Wednesday. Photo by Kimberly McMillian /Times Free Press. DAYTON, Tenn. - The state on Wednesday decertified the chronically overcrowded Rhea County Jail for the remainder of 2011. Tennessee Corrections Institute Inspector Barry Suttles said Wednesday afternoon that the jail was decertified in a vote by the institute's control board and that county officials needed to "continue the plan of action" to alleviate the facility's overcrowding. A jail committee has been working with a Chattanooga firm to conduct a feasibility study into the county's need for a jail expansion or a new facility. Decertification could mean the loss of the jail's insurance coverage or an increase in those rates, officials said. It does not affect day-to-day operations, Suttles said. Jeff Knight, with the sheriff's department, said Wednesday that the jail's insurance coverage had not and might not be canceled. County Executive George Thacker said the county's insurance representative, Athens Insurance Co. in Athens, Tenn., advised the rates wouldn't increase "right now" and the jail wouldn't lose its coverage as long as officials continue to make progress on the plan of action. A reinspection will be done in 2012, according to the state. Last September, Suttles cited the jail for exceeding its certified capacity of 87 inmates. Since the fall of 2010, county Sheriff Mike Neal has reported at the jail committee meetings an average daily inmate count ranging from 100 to 130. In May's inspection report, Suttles noted that "insufficient progress" had been made on a plan of action and that no funding had been appropriated to correct the problem. "I think we've moved as fast as we can and made a lot of progress," Thacker said Wednesday. "I wish the outcome had been different." Thacker said the county still needs permission from the state comptroller to borrow money to build a jail. In January, the jail committee chose Chattanooga-based TWH Architects to conduct the feasibility study. TWH recently recommended the county consider building on property near Vanderwall Funeral Home in Dayton, land that was offered to the county free of charge.